These beautiful cushions are made from a mid Century Indonesian sarong. 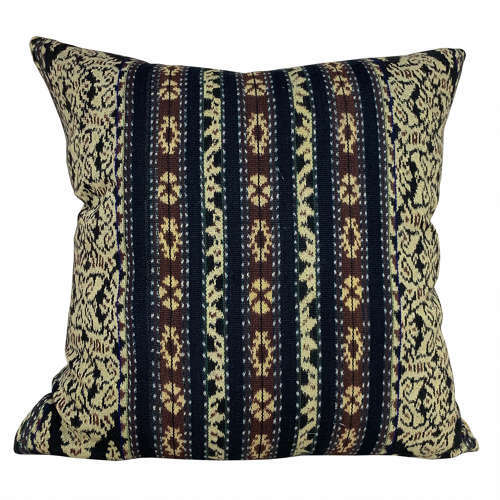 The thick cotton textile is a traditional ikat weave in mustard, brown and black colours. I have backed the cushions in a vegetable dyed mustard coloured hemp.